Osterhammel's book represents a new approach to the subject. The concise but sweeping study encompasses the process of colonization and decolonization from the early modern period to the twentieth century. Virtually all other studies to date have looked at strategies of colonial conquest, exploitation, and rule from the imperial point of view. 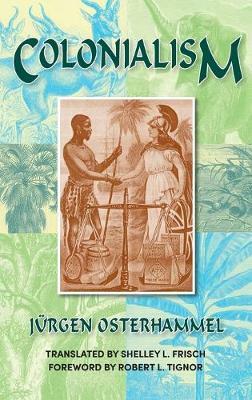 Osterhammel shows that the colonial situation developed in ways that duplicated neither the metropolis nor the pre-colonial society, but instead blended these and added a new direction characteristic only of colonial realms. He emphasizes that the Europeans were normally not considered dangerous invaders by local populations until they threatened the traditional cultures with missionaries, European schools, and bureaucracy.